'I want to learn so I can help people.' 'I want to become confident in my skills and strengths.' Every year, IPU Women’s College sees students start with various goals in mind. It also sees graduates achieve their goals and start their careers as childcare workers, kindergarten teachers, certified care workers, and sport instructors. After learning in a nurturing environment with supportive people amongst the beautiful natural setting of Uwajima, our graduates help clients across Japan, sharing their smiles with children, elderly people, and those who wish to maintain their wellbeing. 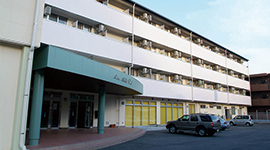 IPU Women’s College is compact in size and big in its educational offerings. 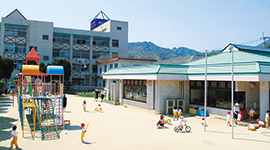 We have an affiliated kindergarten and daycare centre on campus. We offer a Yokomine teaching method training programme. We collaborate with an elderly care service provider. 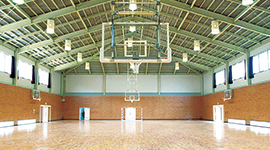 We provide an international student programme and high-performing sports clubs. These are examples of our continuous effort for challenge and creation in order to meet our students’ needs and help them enhance their potential. Copyright © 2017 – 2019 Soshi Gakuen Incorporated. All Rights Reserved.